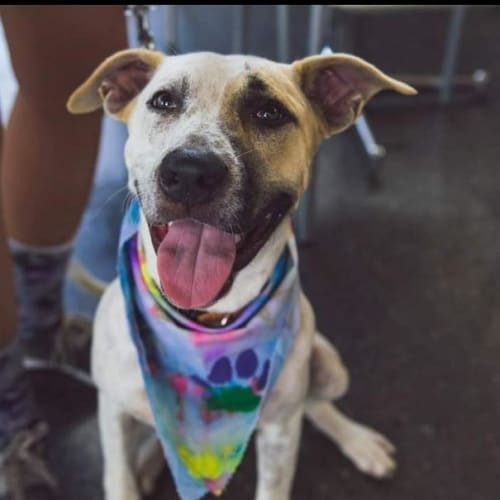 Are you looking for a young babe to join your family!Then Bonnie is the girl for you.Bonnie is only young, at about 8 months old. This is just an approximate age as Bonnie was left homeless in a country pound and bought to Perth to be with SABBR.Bonnie’s foster parents have stated, that if it weren’t for their passion of helping foster dogs find their families, Bonnie would be a keeper.Bonnie can live with a male dog and full time workers just fine. 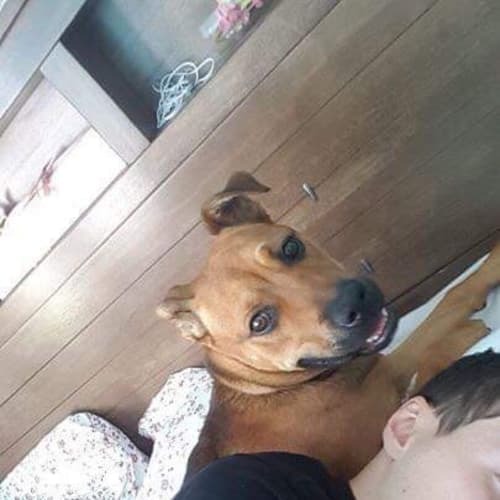 She doesn’t live with kids as such but also doesn’t mind having them around. 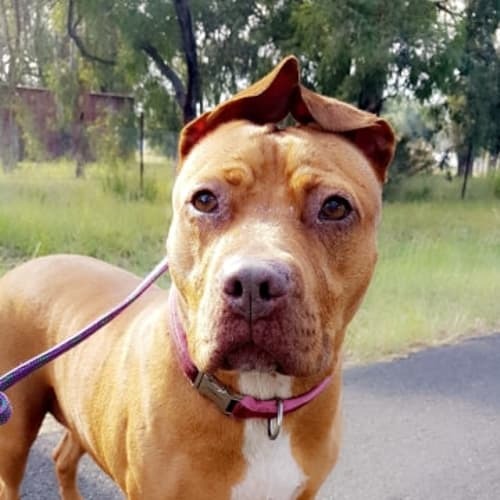 Tia is a friendly, well behaved girl who has so much love to give. 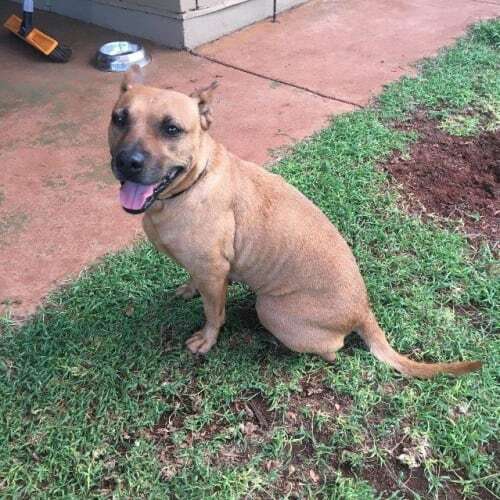 She has a quiet nature and enjoys the company of adults and children, she is friendly and loves her humans. Tia loves being inside with everyone and is housetrained. Being in such a hot environment in Newman, Tia loves lazing around in the aircon and following her master around the house. 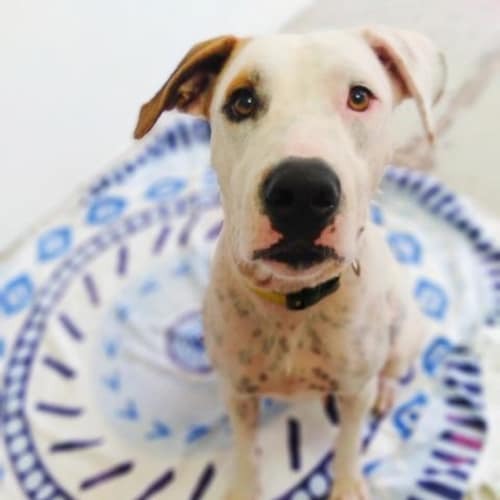 She is a very loving and loyal girl who never steers far from you. Currently in care with a Labrador, Tia is dog social and friendly with all and loves to roll on the grass and be outdoors also. She doesn't like storms and is a chicken, she isn't tough at all. Tia came into care when she was surrendered to SAFE after her family being unable to cover her vet cost for a c-section. SAFE gave Tia a chance and had her surgery complete however unfortunately her puppies didn't pull through. Tia has healed, is happy and now awaiting a home she so deserves. 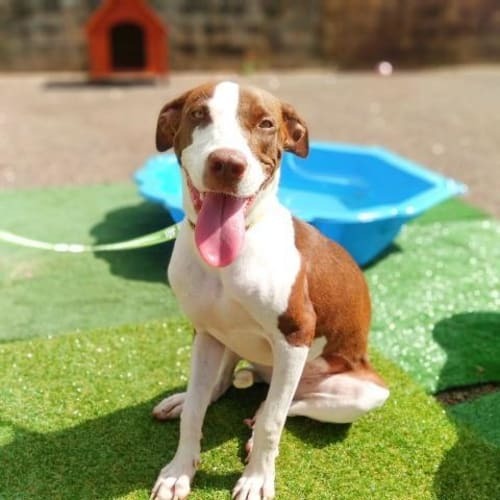 Could this smiley girl be your new addition? I bet from my photos you’d guess I’m a lot younger than eight, that’s right I know I look fantastic for my age! I have the calm, cruisy nature of an older dog though and am happy just shadowing my human friends around. I think I would fit in well in most households and would be happy living with or without another dog if someone is home often. I can be a little enthusiastic in my greetings of other dogs so would need my new family to help me keep my introductions short and continue my socialisation (I can just get a bit carried away). I have lived in a home previously with my best friend TP and we get along really well. 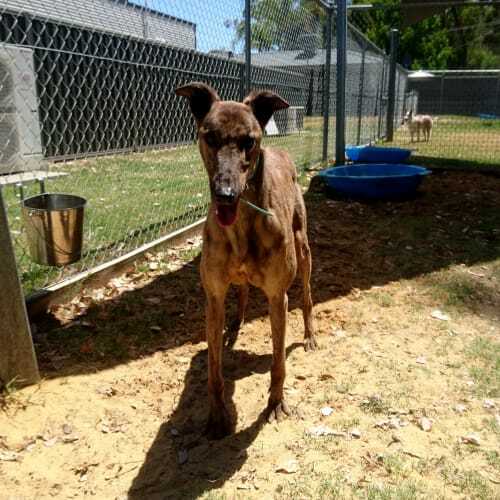 In fact after our term spent at Bentley Tafe we are hoping to be adopted out as a pair!As with all greyhounds I am a work in progress, I will still need further training, socialisation and maybe some management strategies to truly thrive in your home. The GAP team can provide you with lots of hints and tips to help me on my way but please be prepared to be patient and spend some time working with me. I look like a mini tiger! I’m a bubbly girl who is always happy to make a new friend, especially if they have toys, I just loooveee toys! Because the GAP staff would hate for me to mistake a beloved toy for one of my own I would be better off in a home with older children. I’ve lived in a home with another greyhound before and did really well. I can sometimes be a little unintentionally rude to my smaller doggy friends so would benefit from having a medium to large sized dog for company. I would also love if my owners could keep socialising me with other breeds of dog while I’m adjusting to all the sizes and breeds that are out there. 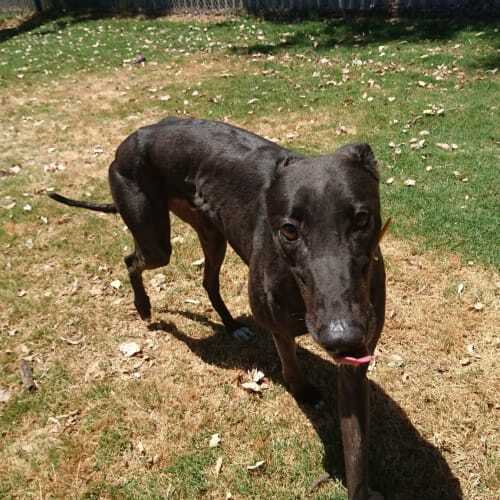 I’m actually about to go into the Bentley Tafe for a term with my best friend Dozer and we are secretly hoping that maybe we can get adopted out together at the end!As with all greyhounds I am a work in progress, I will still need further training, socialisation and maybe some management strategies to truly thrive in your home. The GAP team can provide you with lots of hints and tips to help me on my way but please be prepared to be patient and spend some time working with me. “Because I’m Happy…” I certainly suit my name as am a happy go lucky boy who has made many a friend at the GAP kennels. I’m a big boy so can be accidently strong on lead but am getting better each day with more training. I love people of all ages and am also quite social with different breeds of dog. 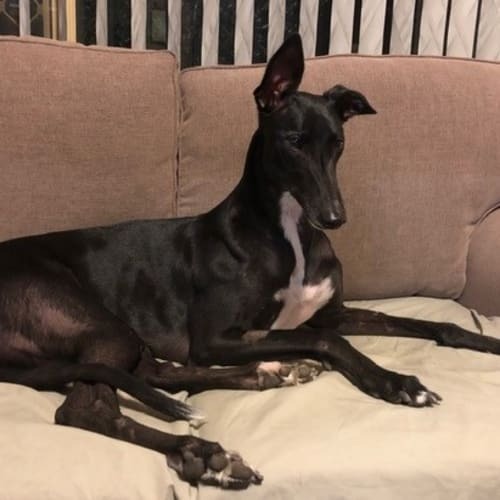 I think I’m confident enough to go as the only dog and would love if my new family were happy to include me as part of the family – I mean who doesn’t want a Happy in their lives!As with all greyhounds I am a work in progress, I will still need further training, socialisation and maybe some management strategies to truly thrive in your home. The GAP team can provide you with lots of hints and tips to help me on my way but please be prepared to be patient and spend some time working with me. 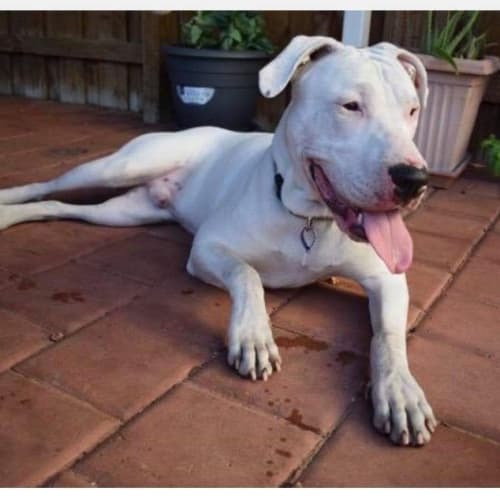 Deaf with a huge heart! This big goofball is looking for a forever home!Jay loves car rides and exploring the great outdoors. 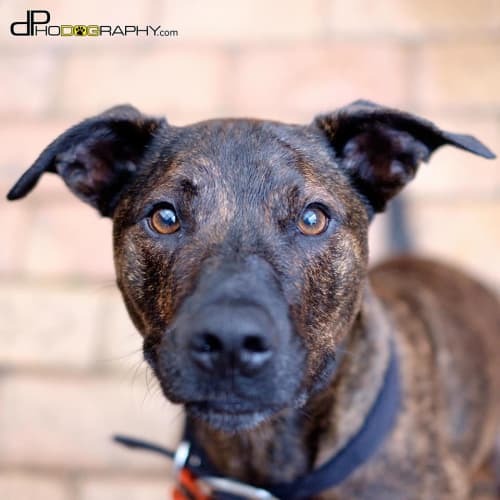 Jay is young and boisterous but very sweet in nature and loves morning cuddles. 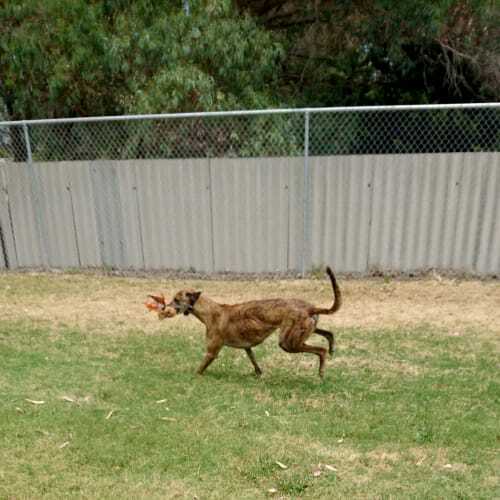 Jay adores his humans and would prefer to go to a home where your home more often then not. Teenagers are a plus but he is a little to excitable to live with young children at this stage. Jay is a social boy who may enjoy the company of another female boofa pending meet. However he is still learning his manner and may need separation at times as he can get a little carried away. Jay was born deaf but please don’t let this put you off! He is working hard to learn hand signals and is eager to please once he has been given time to settle into his new home. Please also note both you and Jay will be fully supported during the transition.